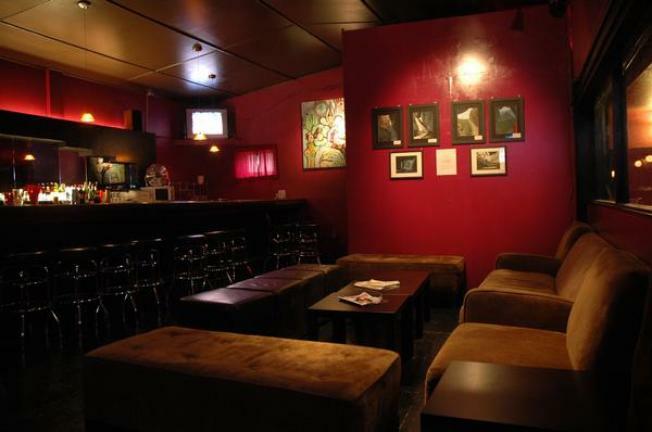 A look inside the Velvet Bar. Who knew there was a gay bar with an Oakland Raiders tilt? Well there isn't anymore. Quite possibly the world's only known gay bar for Raiders fans has shed its skin and turned into Lounge 3411. Truth be told, the Velvet bar and dance club in Oakland's Laurel district was better known for its DJ nights and drag king parties than its affinity for the local football team. Still the bar, which identified itself as a gay night club, was frequented by people of all interests, gay and straight, Raiders and 49ers fans (at least we assume some red and gold wearing people made it into the bar, their walls were red after all). The bar was a place were people could dance and catch a game at the same time. It took some time off from partying in the summer to plan more events and unveil a slightly modified motif but it stuck to its basic, simple roots. The new bar gets its name from the building's location, 3411 MacArthur Blvd.